“notfromme” is for Chamber Ensemble. Written in 2016. Texture, texture, texture. Juxtaposition and balance. A story of emotions and a lack of communication. Fl., Cl. in Bb, B. Cl. in Bb, 2 Sax (A., T.), Bsn., 2 Hn. in F, 2 T. Tbn., 2 Perc., Pno., 2 Vln. 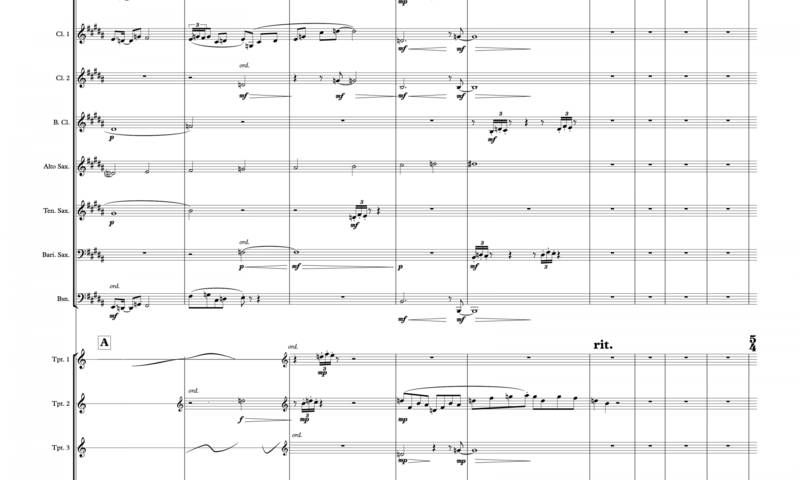 The piece was arranged for The University of Missouri’s New Music Ensemble: Fl., B. Cl., Vln., Vcl., Pno., 2 Perc.